In Episode 4 of The Game Before the Money Podcast, Ron McDole said that when he arrived at the Bills’ team hotel, he was surprised to find out that it was also their training camp. 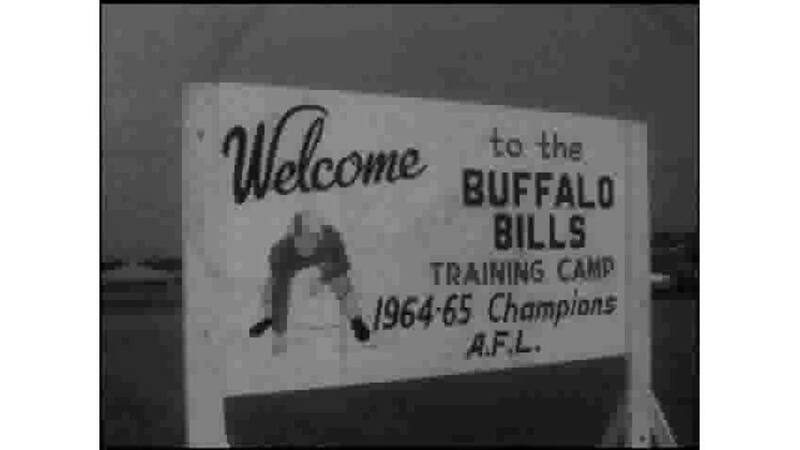 Indeed, the Camelot-Voyager Motor Inn hosted the Bills’ training camp for several years in the 1960s. Here is footage via WIVB-TV’s Twitter account. THROWBACK THURSDAY: Buffalo Bills practicing in July 1966 at the Sheraton Camelot Motor Inn, Blasdell. pic.twitter.com/irHmi2zLsk — News 4, WIVB-TV (@news4buffalo) July 30, 2015 You might also enjoy reading this article from the Niagara Gazette remembering those years and later training camps held at Niagara.